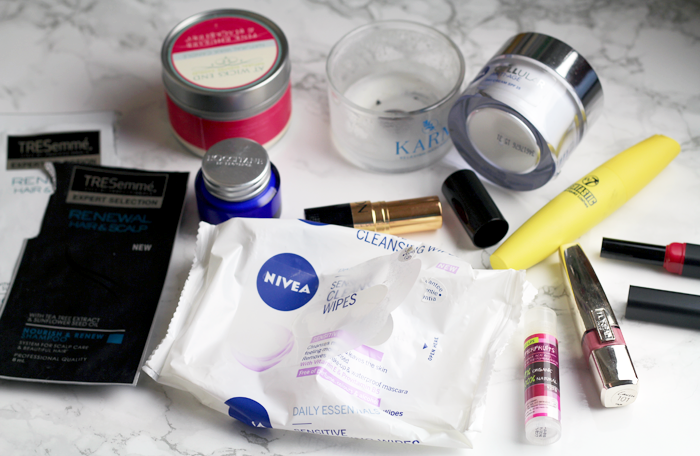 I'm still working on de-cluttering my beauty stash, it really is getting smaller now - I promise! I'm determined to continue using things up before buying anything else and it's still ridiculously rewarding when I notice my bag of empties getting full throughout the month. I absolutely loved this! 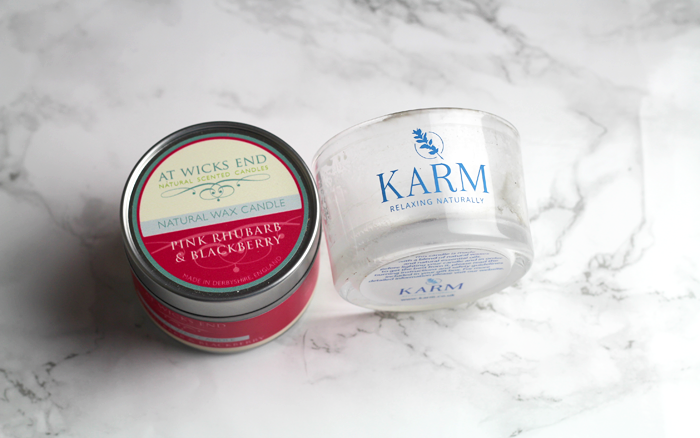 It didn't fill the whole room with scent, but I burnt it whilst I was doing some work at my desk and it smelt like retro sweeties. Lovely. This was such a beautiful warm vanilla scent but I must admit the candle didn't last as long as I was hoping. It did burn evenly though so absolutely nothing was wasted. This is a really, really lovely day cream. It really surprised me and if it were cruelty free I would absolutely repurchase. It gave my skin enough moisture, it wasn't greasy at all and absorbed quickly. 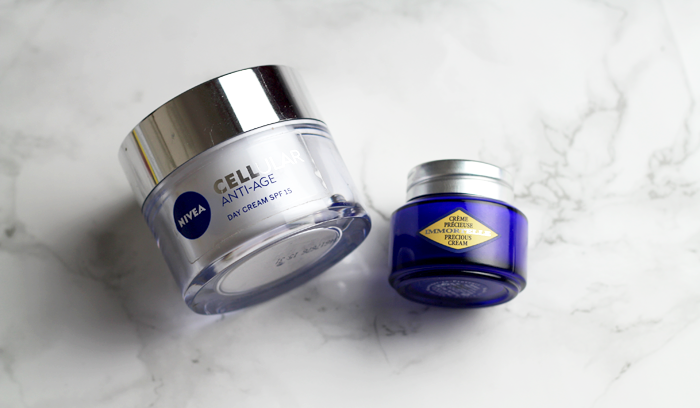 I'm not sure I believe all the marketing spiel about how it prompts skin cells to regenerate faster, who knows, but it's a great moisturiser. I used this on my legs because unfortunately I couldn't stand the scent but it felt beautifully moisturising without being too heavy. It's been getting a lot of praise and L'Occitane always pack their products full of really lovely ingredients. It's difficult to form an opinion on something after just one use but it cleansed my hair well, moisturising enough without weighing my hair down. I'm not a huge fan of cleansing wipes in general, but I used these to remove my mascara before removing the rest of my make up and they did a pretty good job! They didn't sting my eyes like a lot of cleansing wipes do, so they do seem to live up to their sensitive claims. A beautiful bright pink red colour that I wore a lot in my early twenties. The super lustrous formula is a brilliant, it glides on without highlighting any dryness & the colour is incredibly rich and pigmented. A £2.99 mascara that gives very full, defined looking lashes, proving that you don't need to spend a lot of money on make up. The wand is on the larger side, but it's not so large that it's impossible to work with and the formula is neither too dry or too wet. The packaging is a little garish, but I was definitely always able to find it easily in my make up bag! An incredibly moisturising lip balm packed full of lovely ingredients, but unfortunately I wasn't a fan of the scent. It's fruity but there's something a little overwhelmingly strong about it that meant I barely ever reached for it. 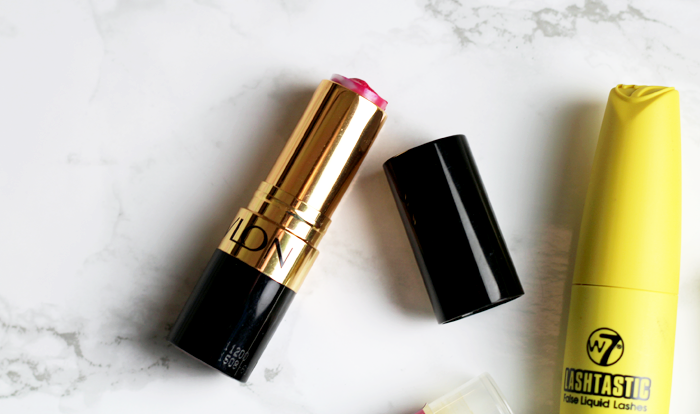 Tinted balms are my best friend over the colder months and I've really enjoyed using this one. The mint scent made a nice change from the usual vanilla and it gave a hint of a red tint to my lips, which was very wearable and never patchy or too bright. This formula is really lovely. The glossy shine lasts really well before fading evenly and leaving a stain on the lips. Juliet is a very pretty, wearable red shade and I'm sad to see this one go. Have you used up any beauty items recently? I love Cherries in the Snow lipstick, it's really pretty <3. I don't have anything else on this post, but it's always good to know your opinions. I haven't emptied anything in a while, expect for roll-ons, do they count? :D I remember having those exact Nivea wet wipes but didn't really give them that much attention, I thought I'm not a wet wipes kind of girl, however I found these, called Nature of Agiva Make Up Remover Wipes and they were really inexpensive and I fell in love with them, so you can try them out as well! And for some odd reason I find that the Nivea creams do the job for me, but somehow when I apply the cream it seems I can never dose it right, which never happens with other creams I use. Hmm idk, that could be just me! P.S. I completed the happy tag and I'll publish it on Monday! 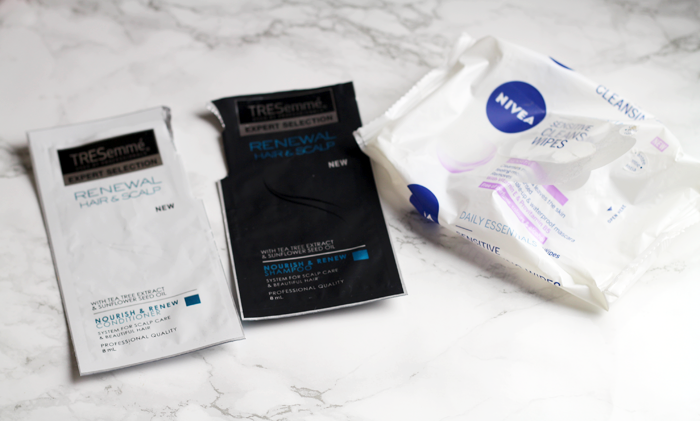 I love using up my beauty products! I'm collecting things for an empties post too. This definitely reminded me I need to buy some new candles, too. Such a good post. 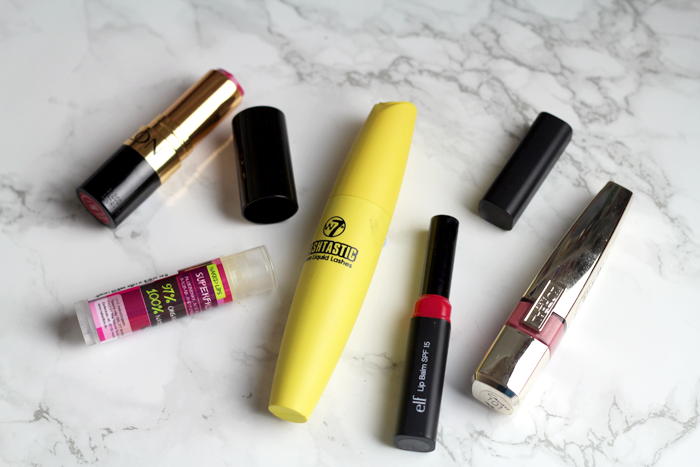 And I do agree with the mascara, while the package is horrid, for the money is very good! It is SO satisfying finishing off a handful of products and being able to pop them in the recycling! I never feel like my collection is getting any smaller but it must be... Haha!